Ba Zan Lin is a Program Officer at the Community Foundation. In this role, he manages a portfolio of grantmaking programs focused on the goals of advancing education, racial/ethnic equity, the environment and arts and architecture. As the primary contact for the funds he oversees, he makes grant recommendations, conducts oversight and performs evaluations. 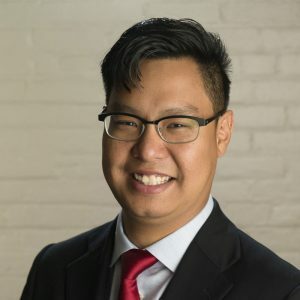 Prior to joining the Community Foundation, Lin was a Research Associate at Via Evaluation, a Buffalo-based evaluation firm for nonprofit organizations. Previously, he worked as an Environmental Education Manager at Buffalo Niagara Riverkeeper, an organization dedicated to protecting regional waterways, and as an Adjunct Professor in Environmental Science at Erie Community College. A native of Burma, Lin also served as a Program Director for the Burmese Community Support Center. Lin received his B.A. in Environmental Studies, Education and Policy and M.S. in Adult Education from the State University of New York at Buffalo. He serves on the Board of Directors of Burmese Community Services and Partnership for the Public Good and is a Co-Chair of the Buffalo Burmese Water Festival.